Zonatangri, the spot where five civilians were killed hasn’t been touched. 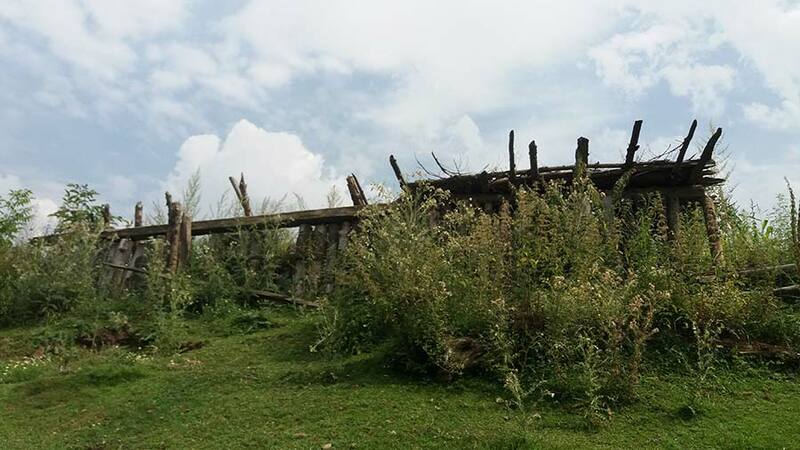 Abdul Rasheed Khan 45, is one of the most known residents of Brariangan, the remote cluster in south Kashmir, that is perpetually in news for a gruesome massacre of March 25, 2000. It is actually this massacre that has kept Khan is limelight. Since his father Jumma Khan was one of the slain five, Rasheed has been the most vocal voice of the victim families. But nobody knows that in last 17 years; Rasheed has rarely spent nights at home. He comes home in the day, works at home, and disappears in the evening for the night. This is his way of managing scare. With no option but to succeed his father and become head of the family, Khan said he had two challenges to manage in addition to managing the family: fighting for the justice for his father and ensuring his personal security. He claimed there were series of instances apparently aimed at forcing him into submission. Many times, even during nights, Rasheed said the army laid a siege around his house claiming they had information about militant presence. 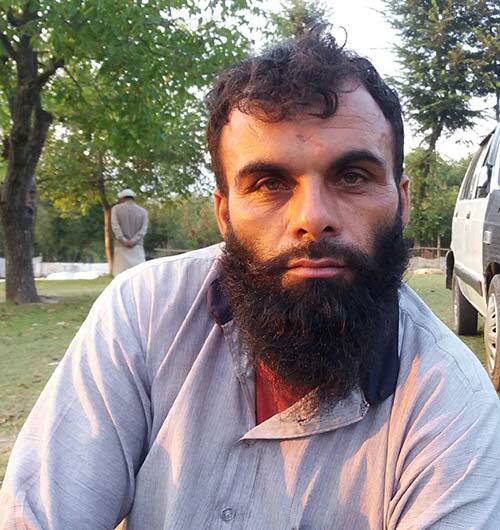 “We knew there are no militants inside and we also knew they were not after militants,” Rasheed said. Rasheed said various local political activists tried to motivate him to give up his struggle for bringing the killers of his father to justice in last 17 years. “I am ready to go to any place in this world for bringing the killers of my father to book,” Rasheed said. These are the precise reasons; Rasheed said why he stays away from home during nights. Juma Khan, his father, is not his only case. His younger brother Mohammad Rafeeq then a ninth class student, was one of the nine protestors who were killed at Brakpora. They were part of a major protest demonstration seeking the whereabouts of the five civilians. State’s counter-insurgency force SOG opened fire on them and killed five. Five civilians including Juma Khan went missing within a day after 25 Sikhs were massacred during the night of March 20, hours before visiting US president Bill Clinton would start his official tour in India. The police was under massive pressure to get the killers. Two nights later, many civilians went missing from the Chatergul Valley. And on March 25, the “encounter” took place. Later that day when Home Minister L K Advani visited Chittisinghpora, the police and army officers gave an open air presentation, got appreciation for the operation and eventually clicked a group photograph with him. Naredra Modi, then in-charge secretary general of the region, made a strong speech. Amid celebrations in the counter-insurgency grid over killing the “butchers” of Sikhs, the residents got clinching evidences of the missing people from the “encounter” site. On April 3, 2000, thousands gathered and moved in a procession towards district headquarters. They were fired upon killing eight protesters including the missing Juma Khan’s son Rafeeq. Since then, the three massacres linked with each other have remained a huge question mark over the criminal judicial system of a place that is officially disturbed and where security grid enjoys literal impunity from law. After many years, the army gave itself a clean chit on January 24, 2014. Three years later, uncle of Zahoor Dalal has gone to the Supreme Court seeking resumption of the trial in a CBI court. To be heard after six weeks, it has almost revived the case with a notice to the army seeking explanation about how it exonerated its men. But the residents are keen that they will continue fighting. Almost 3 kms away from Rasheed’s home in Brariangan, lives Mohammad Shakoor Khan, in three storied old house on the banks of a small stream, surrounded by maize fields. His father, also named Jumma Khan, was killed in the fake encounter. 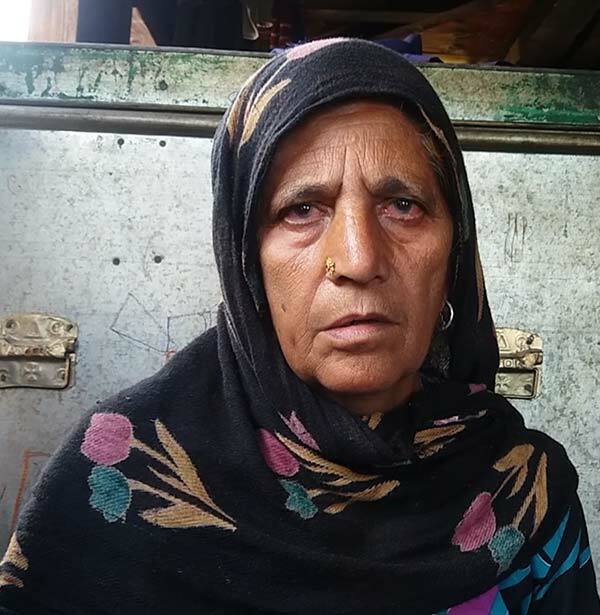 Jumma’s widow Mirza Noor, now 70, remembers the night of March 22, when soldiers barged into her house and took him with them. He never returned. In order to prevent the “story” from fading from their memory, the belt has not touched the spot of the gruesome “encounter”. The Zontengri hillock overlooking the entire Panchalthan belt has that Kotha still intact in which the “encounter” took place. Though the hillock is a picturesque location, it’s woeful history has prevented the locals from making any construction on that particular spot. A few new Kothas have come up but far away from where the encounter took place. 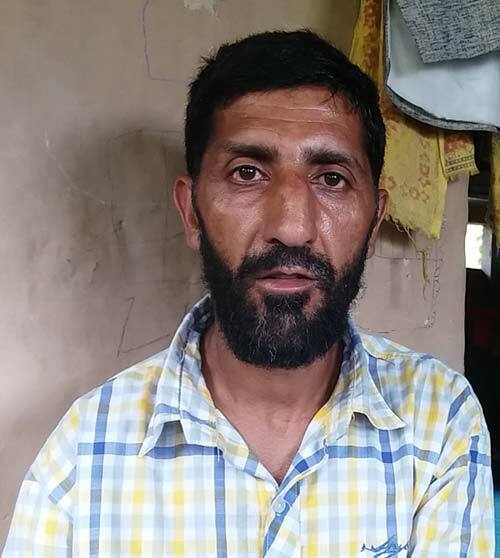 “We did not construct our new kotha at the unfortunate site as living there could give us nightmares,” Bashir Ahmad Khan, now 75, whose Kotha was also blown up in the fake encounter said.